Red Sox top prospect Rafael Devers (pictured, right) is getting his first call-up to the majors. The Red Sox have gotten woeful production from their third basemen this year, including from Pablo Sandoval who was released earlier this week. 20-year-old Devers' minor league production this year has been anything but woeful. Devers hit .300/.369/.575 with 18 home runs for Portland before being promoted to Pawtucket where over a brief nine game stretch he hit .400/.447/.600 with two more home runs. SoxProspects.com Director of Scouting Ian Cundall and Executive Editor Chris Hatfield were all over the news and offered a detailed analysis of the transaction including some video of Devers. Devers is expected to join the team in Seattle today before making his debut tomorrow. Ian Browne of MLB.com spoke to GM Dave Dombrowski about Devers. Dombrowski indicated that initially, the left-hand swinging Devers will start against righties and hit near the bottom of the order. "We're not going to put too much pressure on him," Dombrowski said. He also went on to say that the Red Sox staff believes that Devers is physically ready to handle the call-up and also mentally ready to handle any struggles that may accompany the aggressive promotion. Everyone in the industry took notice of the call-up, including Kyle Glazer of Baseball America, who offered a brief scouting report of Devers and he expects, while there will be an adjustment period, he expects his offense to provide a boost to the Red Sox. FanGraphs' Travis Sawchik takes a conventional look at the Devers call-up, showing how it fills an immediate hole since Red Sox third basemen this year have produced -0.7 Wins Above Replacement (WAR). But, as they often do, Sawchik also took an untraditional approach, looking at all call-ups of players 20 years old or younger. Since 1985 there have been 78 players that young to make their major league debut and only 10 third basemen. They take a deep dive into the past and where Devers falls among this select group. Also taking a slightly different approach, Evan Drellich for CSNNE.com takes a look at the pros and cons of bringing up the Red Sox top prospect. While most have focused their attention on Devers, Ryan Hannable of WEEI.com thinks there is another third base prospect flying under the radar and it's not hot-hitting Michael Chavis - it's Greenville Drive third baseman Bobby Dalbec. The 6-foot-4 slugger is coming off a tremendous season for Lowell last year, but he has not put up the same kind of numbers this year for the Drive, hitting only .234/.319/.355 over his first 161 plate appearances while striking out almost 40% of the time. The hot stove is heating up as the trading deadline approaches, and Devers' call-up does not mean the Red Sox are not active in the market. 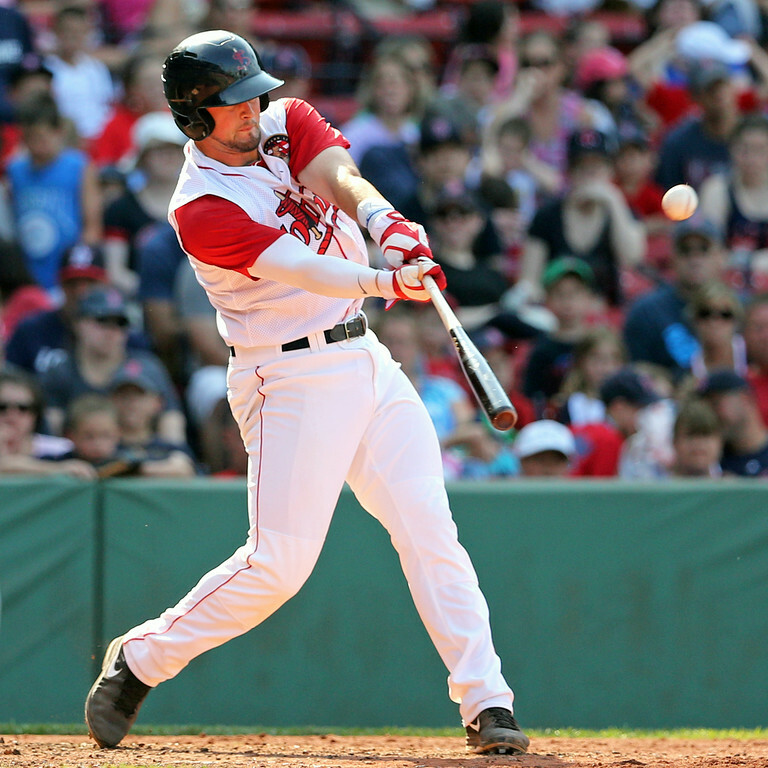 The Boston Globe's Alex Speier takes a look at the trade value for the Red Sox prospects. While not technically a prospect anymore, catcher Blake Swihart has spent this season in the minors while battling injury and performance issues. Now sidelined again, Speier spoke with the former top prospect about his injuries, demotion, and his hopes for the future. Swihart's value has taken a pretty significant hit since he topped the SoxProspects.com rankings at the end of 2014. Cam Ellis of BP Boston believes that Swihart has been mishandled and that he deserves better. Director of scouting Ian Cundall was in attendance for 2017 Red Sox first round pick Tanner Houck. He did not have his best stuff, going 1 1/3 innings with allowing one run on a hit, a walk while striking out one. Ian said that his stuff was a tick down from his first start, but also said that it is too early to judge whether Houck will ultimately land in the bullpen or rotation. Betts (pictured, left) seemed to get stronger as the week went on. Over his first three games of the week, he had a single hit in each game, going 3 for 9 with three walks. Then he caught fire. Over his last three games, he went 8 for 13 with a double and 3 home runs. Two of those three games stand out: on Friday, he went 4 for 5 and on Sunday, he went 2 for 4 with two home runs and two walks. 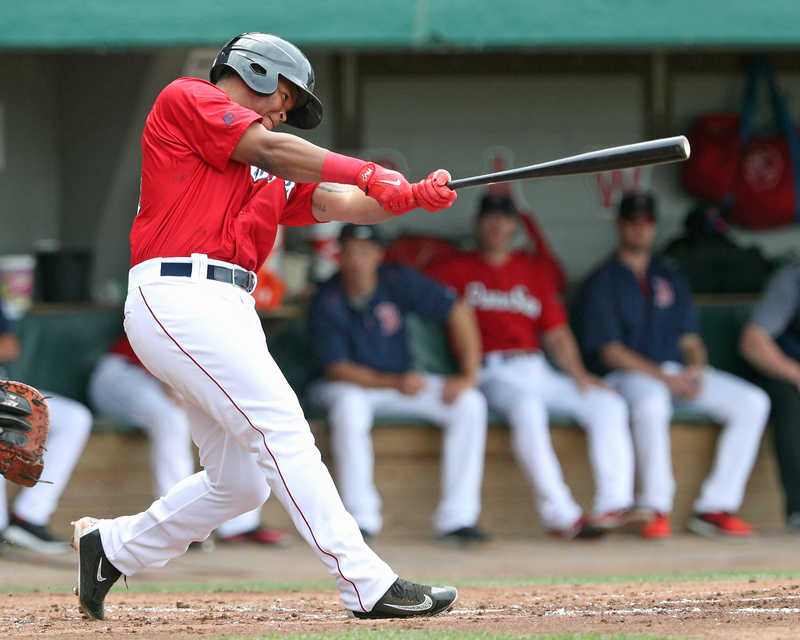 Betts' performance was strong enough to earn him Carolina League Offensive Player of the Week honors. Betts has enjoyed his best professional season to date, hitting .283/.364/.514 on the year over 248 plate appearances, all for Salem. The stats may look impressive, but it is important to keep in mind that Betts is almost three years younger than the average positional player in the Carolina League. While he played all six of his games this week at third base, he has also seen some time at first base. Yet another player rising out of obscurity, Haviland (pictured, right) dominated over two strong starts this week. His first start was Monday, throwing 6 1/3 innings with four hits, two walks, and three strikeouts to get the win. His second start was almost equally as good: 6 2/3 innings, five hits, one walk, four strikeouts, and 1 earned run but he left with the no decision. Haviland has had a bit of a journeyman career, pitching for four different organizations after being drafted by the Oakland Athletics in 2008. 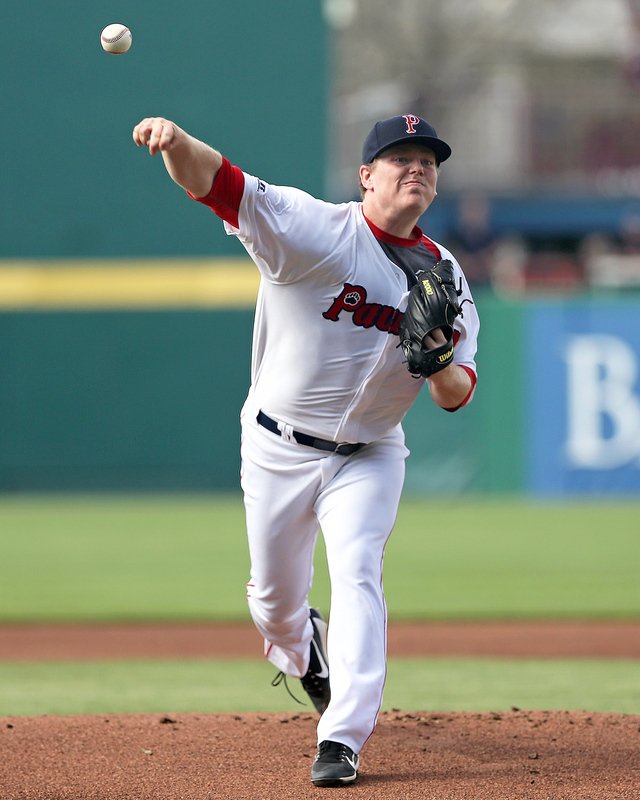 This is his second stint with the Red Sox, and while his 4.03 ERA is not horrible, he is unlikely to merit a call-up. Photo Credit: Rafael Devers, Jordan Betts, & Shawn Haviland by Kelly O'Connor. Will Woodward is a Senior Staff Writer for SoxProspects.com. Follow him on Twitter @SPWill.